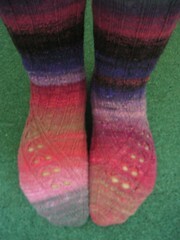 I finished these socks (Kai-Mei by Cookie A) on Dec 19th, and I still don’t have a decent photo of them. Also? 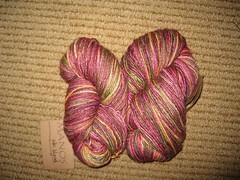 Noro was being uncooperative and had a knot in the middle of the skein, so my transitions are messed up. And they were almost identical until that knot showed up!